Our tutors Erin and Alecia were given the amazing opportunity to take part in Davines training over the weekend, which was hosted in our Academy Salon. The seminar was led by Davines’ International Master Trainer and Artistic Team member, Francesco Ferri. 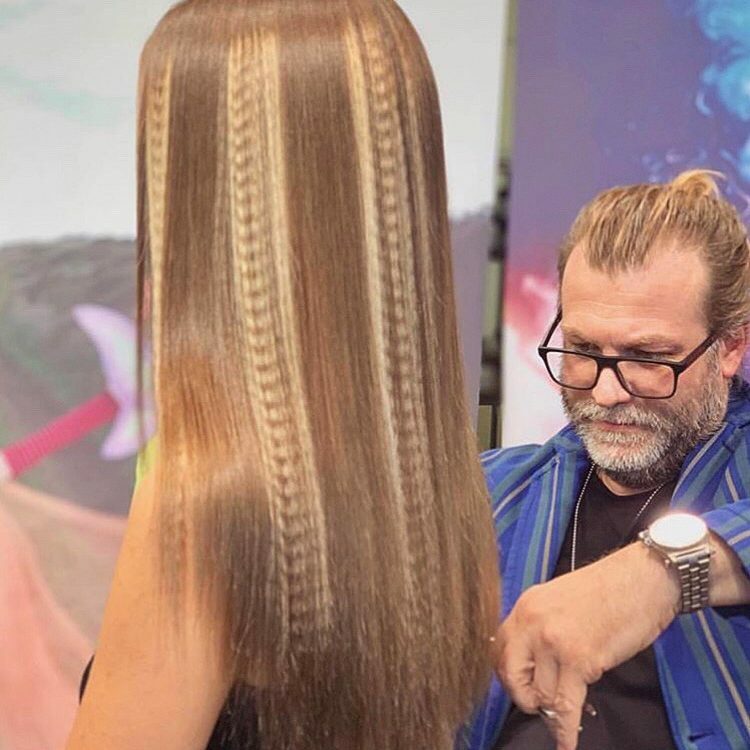 Francesco travelled all the way from Davines HQ in Parma, Italy to educate hairdressers from across New Zealand on Angelo Seminara’s Wild Collection. Angelo (Davines’ International Creative Director) is the creative force behind all of Davines’ collections and the brains behind many of Davines’ tools and products, such as The Imprinter and the Your Hair Assistant range. His newest collection, Wild, consists of eight beautifully cut and coloured hairstyles. Alecia and Erin had the unique opportunity to learn the techniques used in the collection. The training provided attendees the chance to ask questions, get stuck in themselves and see an exclusive preview of Davines’ new demi-permanent colour range ‘VIEW’. Francesco completely transformed the hair of five models, replicating the looks from the Wild collection. On Monday, attendees were then tasked with replicating the looks themselves. “I’m mind blown and so in awe. I’ve got loads of great ideas that I’m going to bring into my classes” – Erin. Davines’ purpose “To be the best for the world, creators of good life for all, through beauty, ethics and sustainability” is the ultimate philosophy for students to put into practice. Our relationship with Davines is what sets us apart from other providers, as it enables tutors and students to learn the innovative techniques and products created by Davines, as well as understanding the importance of operating sustainably.